Hunger is a serious issue that affects more North Carolinians than we think; however, the eyes of my peers and members of my community are not always open to the hardships people facing food insecurity struggle with every day. I began Food Bank Club to inform and involve Leesville Road High School students like myself in a cause that is so much bigger than us. Little did I know, the positive effect of educating a few people can create a ripple effect that stretches for miles. At club meetings, I speak with members about startling statistics about hunger in NC, like how 1 in 4 children under the age of 18 in North Carolina faces food insecurity, and how 1 in every 3 children in the Food Bank of Central & Eastern North Carolina’s service area are food insecure. Increasing the club members’ awareness of problems of hunger simultaneously increased their appreciation and gratitude for what they have – and also activated a desire to have a beneficial impact on the problem. Throughout the course of the year, the Food Bank Club works together to have an effect on hunger in our state and to help the Food Bank through school food drives, hosting virtual food drives, meal packaging events, trips to the Food Bank warehouse, and letter-writing campaigns about hunger to our state officials. So far, we have raised $3,500, more than 2,000 pounds of food, and thousands of meals for those in need. In addition to the tangible benefits of our efforts in the fight against hunger, an immeasurable amount of awareness was raised through our efforts to educate people in our community. Food Bank Club members at the Food Bank’s Raleigh Branch warehouse sorting potatoes into family-sized bags. Over the course of the year as the impact we had on the community grew, the members of the Food Bank Club began to understand we’re capable of creating meaningful change in our community. Knowing that they were helping their neighbors, classmates, and other community members in a substantive way excited a love of service in each member. In just one year, the Food Bank Club’s pursuits in educating high schoolers about hunger have paid off greatly. Looking to our second year as a club, we hope to activate more of our student body and surpass the amounts of money and food we raised this past year. If you are a Leesville student looking to join the Food Bank Club, watch our Twitter account @lrhsfoodbank for news about upcoming meetings and club events – you’re welcome to begin attending at any point in the school year! If you aren’t a Leesville student, establishing a Food Bank Club at your school is another way to help fight hunger. By researching your school’s guidelines for forming new clubs and finding a teacher and some friends to help you, more awareness and food can be raised for those in our community fighting hunger. Involving youth and increasing their awareness of one of the largest issues facing our state is one of the best ways to have an effect on hunger. Promoting feelings of accomplishment and altruism in young people can lead to a lifetime of philanthropy and service to the community. 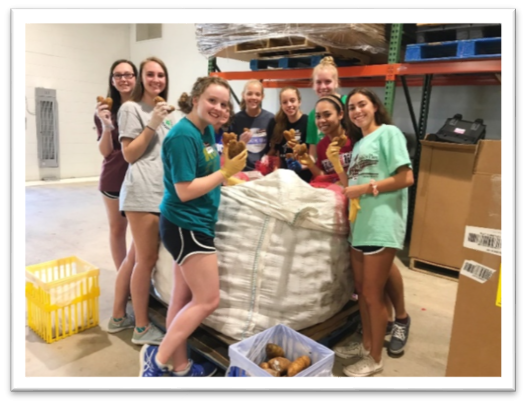 Not only has the Food Bank Club had an immediate and direct impact on hunger by raising food and awareness, but a more lasting impact was made when ardent and impassioned servitude was taught to my peers through their own achievements in volunteerism. I am proud of the accomplishments the Food Bank Club has made thus far. It has been a privilege to serve my community in such a capacity, and I am thrilled to continue in the years to come! 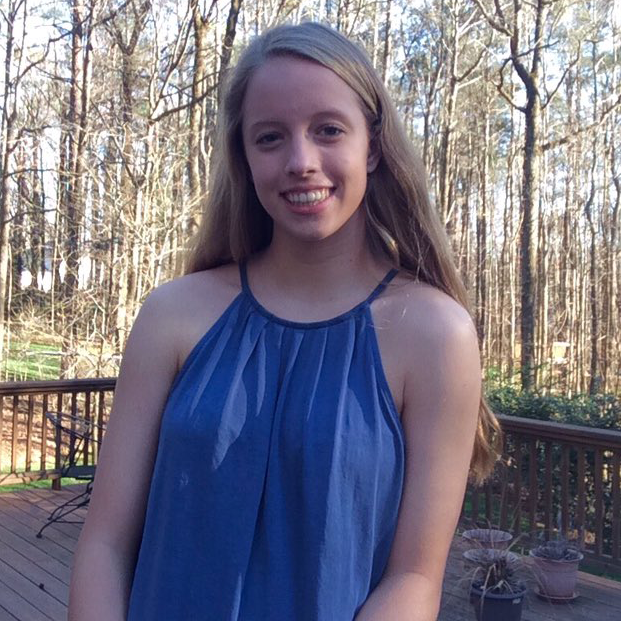 Ainsley Duke is a junior at Leesville Road High School in Raleigh. At the beginning of her sophomore year, she founded the LRHS Food Bank Club with the purpose of raising food, money, and awareness for the Food Bank of Central & Eastern North Carolina. Ainsley is also a Social Media Ambassador for the Food Bank.